Nariman Point is a prime business area in Mumbai. It houses some of India’s and the world’s premier business headquarters. Apart from business, ‘Point’ as it is affectionately called by office goers and locals has something for everyone. The soothing sea breeze, sprawling corporate head offices that are nothing short of architectural marvels, imposing 20th century buildings and bridges built by our colonial masters, and yes of course, an endless array of culinary options to satisfy every little taste bud on the tongue. I too, had the opportunity of working at Nariman Point and today’s recipe is the outcome of one such culinary adventure. The place where I used to work was blessed with plenty of options for food right from fine dining restaurants to road side food stalls that served almost anything from Chinese to French or pasta. Though I used to carry my lunch from home (I still do), occasionally, I would skip carrying it allowing my mum some rest. A colleague, who was a foodie like me, mentioned of this recently opened restaurant that claimed to serve some of the best seafood in the area. Now, a new restaurant offering seafood meant it wasn’t long before we both decided to try it out. Of course, the menu had everything that the sea could offer and my colleague suggested we should try the “Butter Garlic Squid”. Being the conventional type (in my choice of food), I wasn’t too convinced that the dish would offer much; but my colleague almost pleaded me to try and try we did. I almost fell in love with the combination and together over the next couple of visits to the place we almost tried everything from squid, prawns, tofu, mushroom, and anything that the tag of ‘butter garlic’ attached to it. 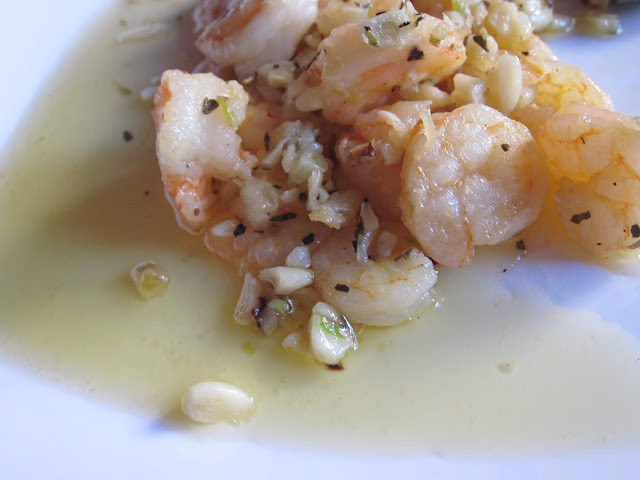 My personal favorite though, was the “Butter Garlic Prawns”. My first attempt at making something with butter garlic sauce was with shredded chicken and honestly, the result was nothing but a disaster. I decided to make the same with prawns. 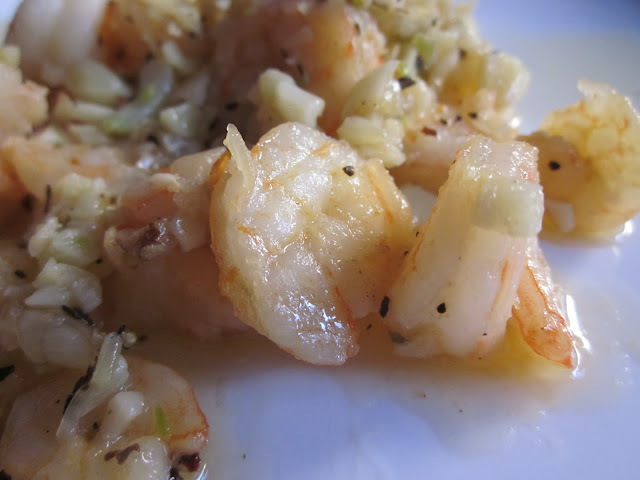 This dish is so simple and uses ingredients that we almost tend to neglect in day to day cooking butter and garlic. Paulo Coelho was spot on when he wrote in the Alchemist: ‘The simple things are also the most extraordinary things, and only the wise can see them.’ I had run a poll on my facebook page (https://www.facebook.com/TummyTales) and no wonder then the dish was the winner by a long way. The rich butter sauce cooked to perfection with the garlic that covers the succulent prawns along with the complementing tastes of Italian herbs and the chilly flakes providing adequate support; and finally, the lemon juice provide the final swoosh just as you finish. Go ahead and try it to experience gastronomic nirvana. In a non-stick pan, add the olive oil and the butter and let them heat. Once the butter has melted add in some of the garlic and let it cook till the garlic turns reddish brown in colour. Take it out and keep it aside. Now, add in the rest of the garlic and sauté for 5 minutes. 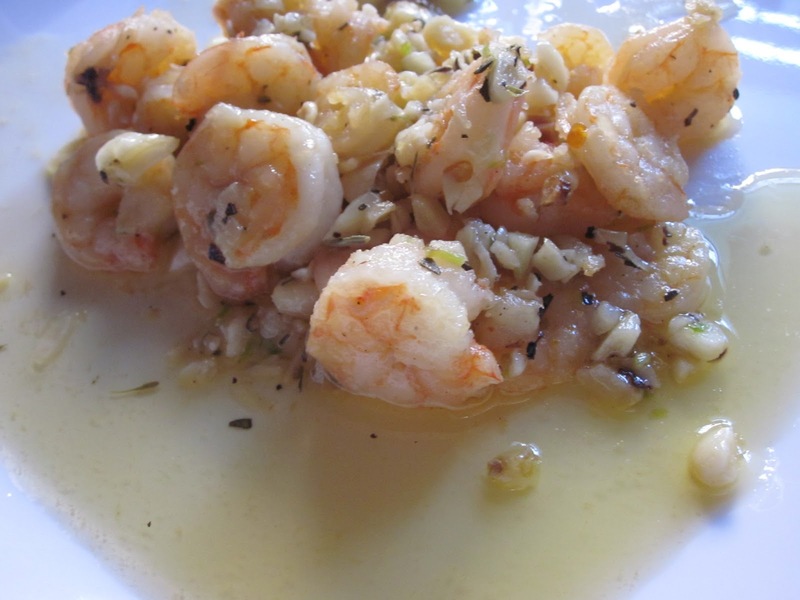 Once the garlic has cooked, add in the prawns and stir till the prawns change colour. Add in the salt and let it cook stirring continuously. Next add in the herbs and red chilly flakes, and the garlic that we had browned earlier allowing the flavors to seep into the prawns. Add the crushed black pepper and the lime juice giving it one last stir.